Luxury Cornish holiday cottages in picturesque Fowey. 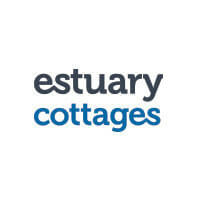 For some of the finest holiday cottages in Cornwall, Estuary Cottages offers a wide range of Cornish holiday homes in Fowey and South East Cornwall generally. We will be pleased to help you select the ‘right’ property be it in Fowey or one of the surrounding villages such as Polruan, Lerryn, Bodinnick or Golant. We have many dog friendly cottages, cottages with sea views and a significant and growing number with a broadband connection. We will do our very best to make sure that your holiday in Cornwall is a memorable one. Holiday cottage letting is our core business, we aim to provide a friendly, personal service to guests and owners alike.